Anders Jösse Olsson worked in Svemos stand where Peter Svenssons Top Fuel Bike was on display. 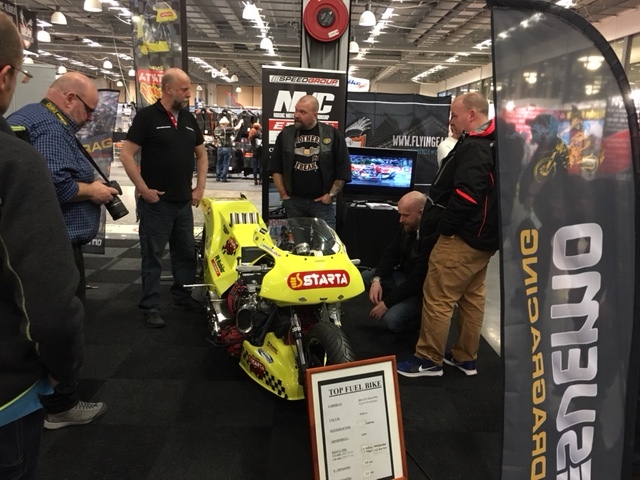 Motorcycle enthusiasts and the trade gathered in Gothenburg for the annual exhibition MC mässan January 28-31st. 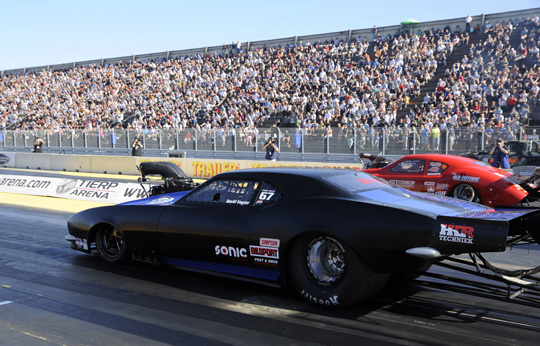 The show traditionally attracts more than 40.000 visitors in four days. Speedgroup´s Roger Lyrén was on site and took the opportunity to promote the 2016 calendar for the EDRS Pro Nordic Motorcycle Drag Racing Championship, which include two events at Sweden´s Tierp Arena (June and August), the Nitro Nationals at Alastaro in July and Drag Challenge at the new drag strip Gardermoen Raceway in Norway at the beginning of August. 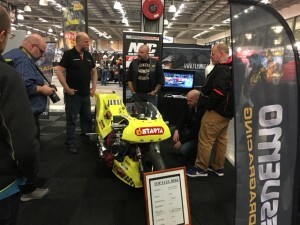 In the Swedish drag bike federation Svemo´s stand, Anders “Jösse” Olsson showed interested visitors the Top Fuel Bike of Peter Svensson and Billet Racing. 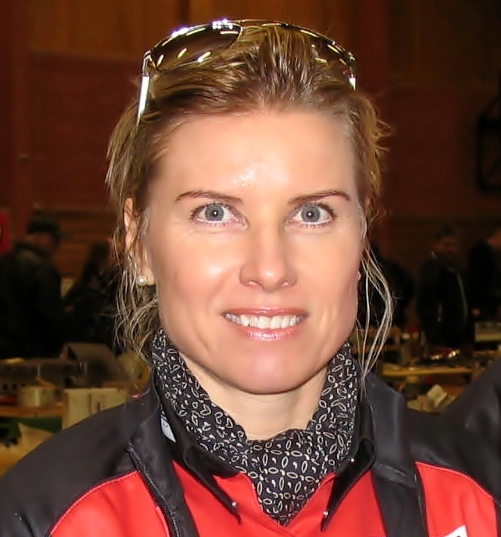 This week a motorcycle show is arranged in Helsinki and Speedgroup will be represented there too by Roger Lyrén.